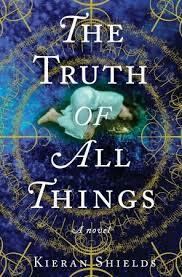 That's right, ladies and gentlemen, the giveaway contest for three copies of The Truth of All Things by Kiernan Shields is now closed. The winners will be drawn at random over the weekend and announced Monday morning. Good luck to all the entrants!